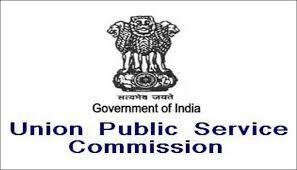 Union Public Service Commission (UPSC) invites Application for the post of Civil Services (Preliminary) Examination 2017 for 980 Vacancies. Apply Online before 17 March 2017. Educational Qualification : Candidate must hold a degree of any of Universities incorporated by an Act of the Central or State Legislature in India or other educational institutions. Selection Process : Selection will be based on Written examination & Viva voce Test. Application Fee : Candidates have to pay Rs. 100/- either by depositing the money in any branch of SBI by cash, or by using net banking facility of the SBI or by using visa/master credit/debit card. Female/SC/ST/PH Candidates who are exempted from payment of fee. How to Apply UPSC Vacancy : Interested Candidates may apply online through UPSC website www.upsconline.nic.in from 22.02.2017 to 17.03.2017 till 18.00 hrs thereafter website link will be disabled.